MS Outlook keeps emails on user's hard drive in PST files. This format contains email information coded in such a way that it can't be read outside of its native mail client. You can view their content only using special PST viewers. Here you will see a short review of five free Outlook viewers describing their speed, usability, interface, additional features and pitfalls like spam ads, additional software installation, etc. Hope this short review will help to find a suitable PST reader with no need to google much. This freeware PST reader took us so long to import a PST file. What is good - it finds PST files in PC memory automatically, not making user go and search for required folder. Claiming to be free, PST Scanner doesn't show the content of each email, it only displays the list of messages stored in selected PST. To view mails, user needs to purchase a license (the regular price is $99). It perfectly displays English mails, while recognizing other languages may be a problem. This program also supports attached images of specific format, but cannot unpack attached documents or other file types. User interface is very comfortable for eyes. But a couple icon sets are annoying. It is completely unclear what these icons do until you hover on them. Unexpectedly some PC backup software was installed together with Kernel Outlook PST Viewer. This freeby is installed in a standard way without any hidden software or ads on board. 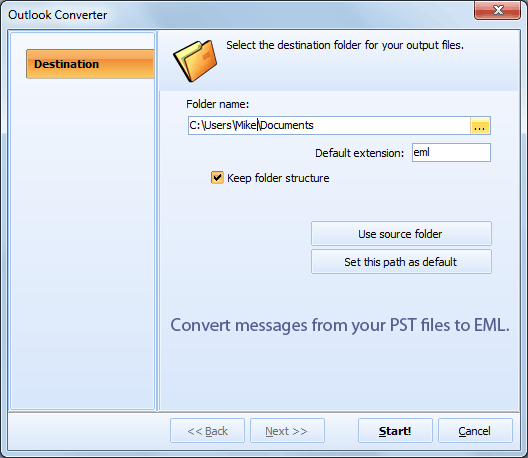 At the start it offers user to connect a PST file and shows its content in Outlook manner. 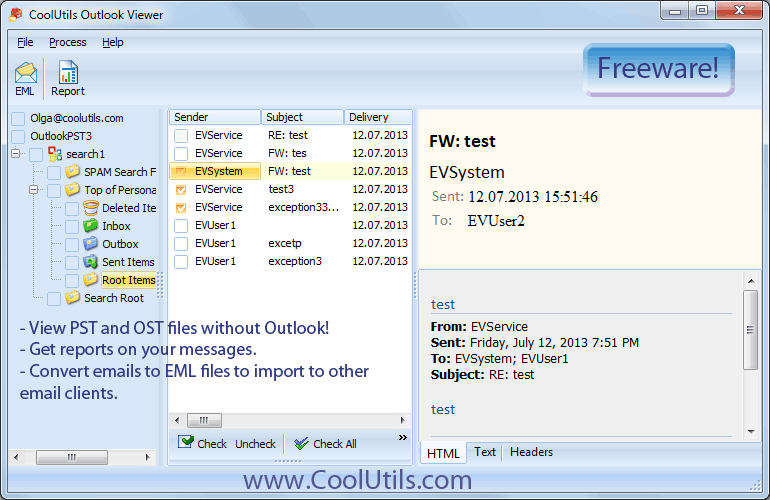 It allows viewing every email in PST file and converting them to EML in batch or single mode. Also it's possible to create a report in specific format about selected emails. Report contains information from each mail field except body, and unnecessary ones can be excluded from the report file. 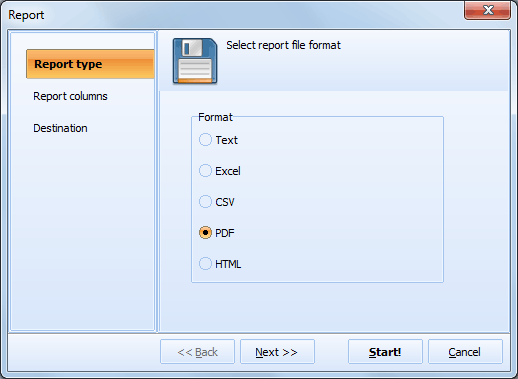 User can generate report in PDF, CSV, XLS, TXT, HTML. This Outlook Viewer works fast, not making user wait until all data is properly rendered. And its multilanguage, clean interface makes program easy for users with any kind of experience. The installation is rather tricky. 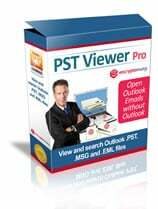 First you download an installation program that helps to download PST Viewer Pro and offers to install it. When you think setup is over, it starts installing something again. It may seem complicated, but don't give up. Besides PST, the program allows to view OST, EML and MSG files. When the program was finally launched, it turned out that it is free only for the first 15 days. It doesn't ask to connect a specific PST or OST file, the inner navigation tab provides access to all files in PC memory. It takes some time for a program to recognize and decode a PST file, but then it shows different languages correctly. The program integrates with a mail client and allows replying, forwarding emails right inside. Also user is able to export mails into different formats. This is a pretty straightforward PST viewer that only shows emails from PST file and allows opening attachments. It takes some time until PST file is fully loaded to the program and there can be delay in opening specific mail. In general, if you need very basic PST viewer, this one is quite a good choice. Now malware or spam inside. The Pro version can export emails to PDF files and costs $69 per license. How to print emails from PST file?